In particular, spring wheat was planted on 2,000 hectares, or 1% of the plan, spring barley on 82,000 ha (5%), oats on 3,000 ha (1%), and peas on 51,000 ha (12%). Fertilization of winter crops for grain is continuing: nutrients have been used on an area of 4.5 million hectares (62% of the forecast). 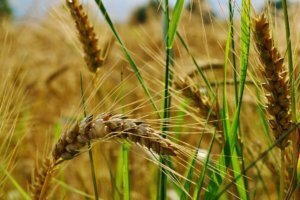 A survey of winter grains for the 2018 harvest shows that out from the seeded 7.3 million ha, seedlings were obtained on 99.7% of the areas, of which 6.4 million hectares (89%) are in a good and satisfactory state, while those on 816,500 hectares (11%) are weak and thick. The Antimonopoly Committee of Ukraine has permitted Dragon Capital investment company via NUF Equity Investments Limited to acquire 50% in UPG Food Holdings Limited (both based in Nicosia, Cyprus), which owns a large turkey meat producer. The committee also permitted NUF Equity Investments Limited and Dytchi-Invest Limited to fulfill the conditions of a draft agreement on the sale and purchase of shares, which will be signed between the two companies to restrain competition for the period of five years. Dragon Capital has not yet commented on the deal. UPG Food Holdings Limited, which beneficiaries are Yulia and Volodymyr Dutchak, owns the group of companies UPG-Invest founded in 2002. 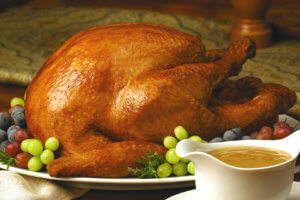 It is engaged in growing turkey and producing meat under the Siayvir trademark. It includes several production complexes with a total area of about 60,000 square meters, a slaughterhouse and equipment for cooling and instant freezing of meat. The production capacity is 12,000 tonnes of meat per year. The UPG-Invest Group has owned the Abo-Mix fodder plant since 2014. Its capacity is 12,000 of granulated fodder a year for all types of household animals and birds. The products are made under Agro Gold Mix trademark and sold in Ukraine and the EU.